Have you girls every tried these Jamberry Nail Wraps? 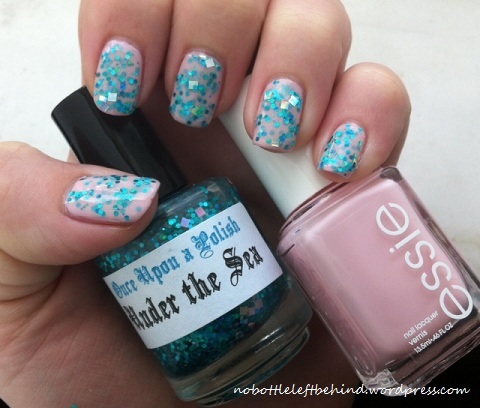 I’ve tried the Sally Hansen ones before and I really love them. They lasted on my nails for a long time. I actually had a hard time getting them off, that’s how good they were stuck on there. Jen, at Jen’s Dress My Nails, is a Jamberry consultant and offered to send a sample sheet of the nail wraps to try them out. They’re so cute! 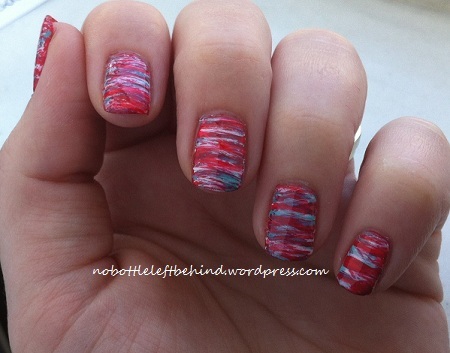 I don’t wear nail wraps simply because I change my nails too often and they’re a bit pricey. The Jamberry wraps retail for $15 but you get a sheet with enough for two full uses. I decided to pair one of the wraps with Whimsical Ideas by Pam Peacock Park. Peacock Park is seriously one of my favorite polishes. Pam blew me away with that one. The application process for these wraps was pretty simple as well. Here’s the application and removal instruction sheet from the website. I did cheat on step 3. I didn’t use a blow dryer to warm my wrap up…. I just used my hot breath :). Hey, it worked! Jamberry also sells a little heater thing that you can use. I’m sure heater thing is not the technical term for it but you know what I mean. So my over all consensus is that I would order these again. They have a ton of really cute designs to choose from and they’ve held up well between hand washing, diaper changing, kid bathing, dishes doing, you name it. 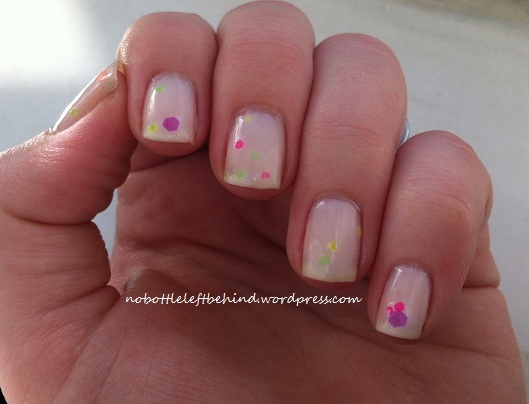 Even from applying cuticle oil. 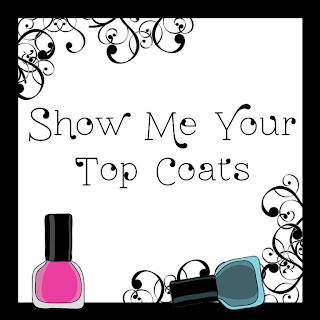 You can check out Jen’s site here or contact your nearest Jamberry consultant to order :). 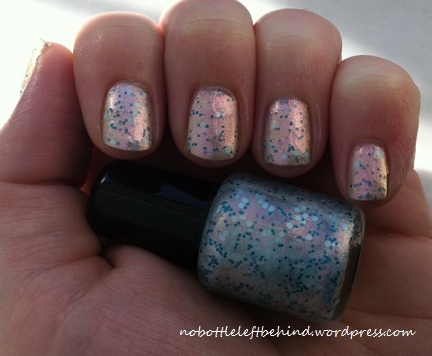 *I should add that Jen didn’t send me the sample to review on my blog, I chose to do that myself. These opinions are all my own. Hi girls! The 11 lucky winners of our Epic Multi-Blogger Giveaway were announced today. Check your email (and spam folder) to see if you were a lucky winner! You’ll have 24 hours to reply to the email and claim your prize. A couple of girls already let me know they were winners on my Facebook page. I’d love to hear from you if you were a winner too! 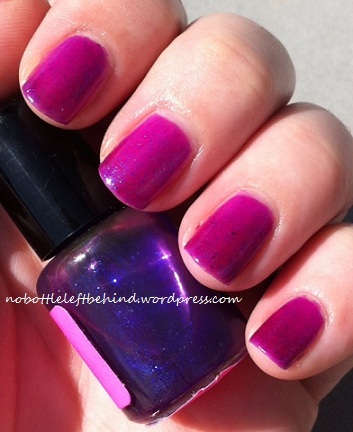 A couple of weeks ago I ordered a few mini polishes from the Jindie restock on Etsy. I grabbed Pretty Penny, Electric Grape, and Candy Land. I was most excited for Candy Land and now that I’ve used it, I feel a bit let down :(. We’ll get more into that later. When my order finally came in, I looked at them all and decided I was feeling “eh” about Electric Grape. It wasn’t what I was expecting. I don’t know why, but I thought it was going to be a much darker purple. Well, after using it. It quickly turned into my favorite! This is in direct sunlight. 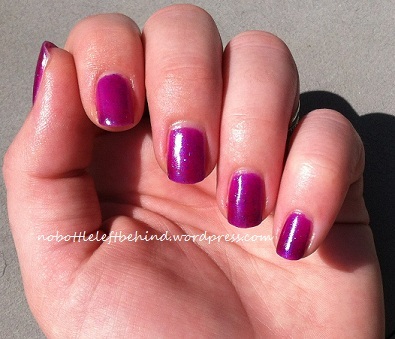 Electric Grape is a purple jelly with blue micro shimmer. It’s gorgeous! I’m wearing 3 coats in the pictures. By far my favorite of the 3 I ordered! 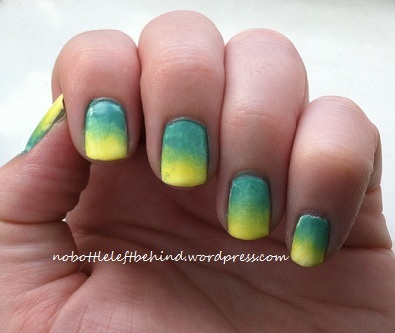 I’m going to also try to layer this over a dark purple polish and a white polish to see how it looks. Next up is Pretty Penny. 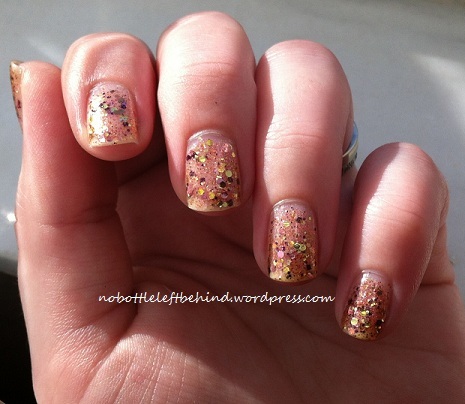 This polish is in a clear base and is full of pink, gold, copper, and bronze glitter. It’s very pretty too! I used 3 coats in my pictures. No undies. This would look great layered over a lot of colors. 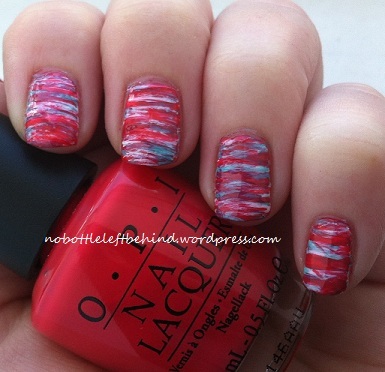 Last but not least is Candy Land. I’m wearing 4 coats in all of the pictures. 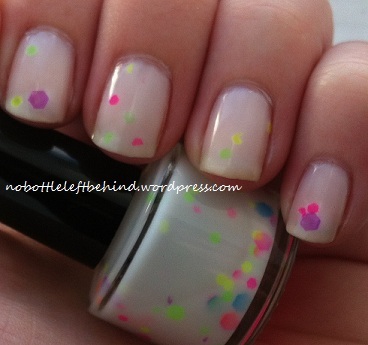 Candy Land is a milky white base full of pink, purple, blue, green, and yellow neon glitters. It’s pretty, right? I want to love this one but I’m disappointing in it. I’m not sure if it’s because I own a mini instead of a full size, but the neon glitters were SO HARD to get out. I let my bottle sit upside down hoping the glitter would be easier to get out when I flipped it back over, but they all sunk back to the bottom quickly. The brush on the mini bottle makes it difficult to fish around. 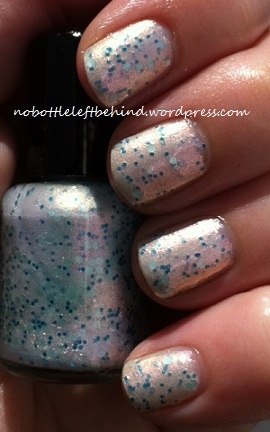 And look at my bottle… there is a lot of glitter in there! Ugh. So there you have it. 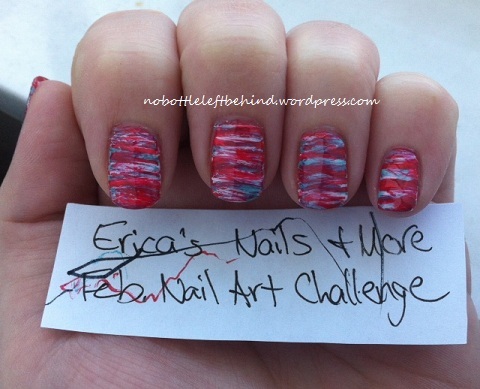 My first Jindie Nails order. I still want Water 4 Elephants and will be ordering the full size of that! 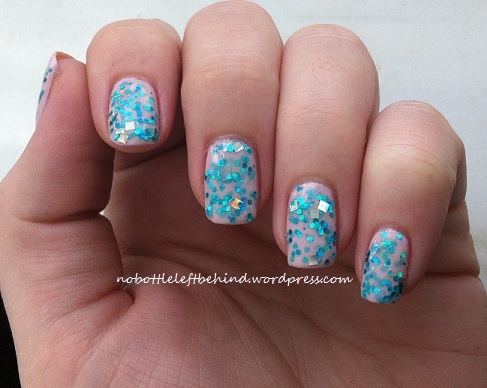 I don’t want any trouble with trying to fish out glitter! Her next restock is this Saturday, February 23rd on Etsy. I’m cutting it close on this one! I’ve been in a bit of a funk again. I don’t know what’s wrong with me lately. So I’m taking a bit of a blogging break. 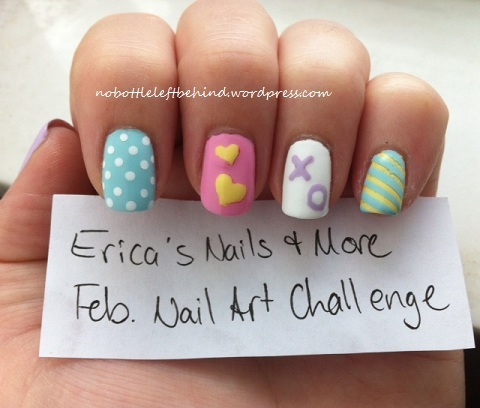 I’m still going to try to finish this challenge. Hopefully I’ll be back up to speed here soon. 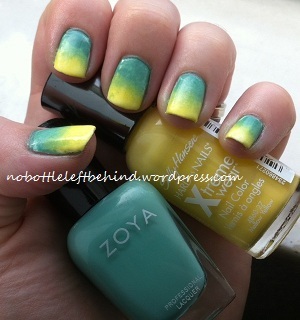 Today’s challenge is “Gradients.” I chose to use Zoya Wednesday and Sally Hanson Mellow Yellow. 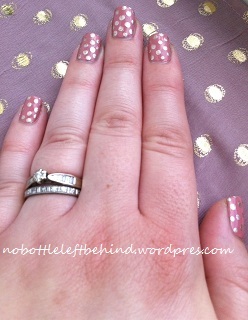 Zoya Wednesday is one of my untried polishes. 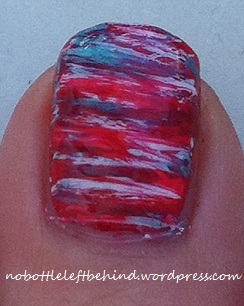 I forgot to tape up before I started sponging! lol I had a MESS of blue to clean up and most of it didn’t want to come off. So if you’re looking at my cuticles like “what the heck? !”… that’s why. Don’t forget to enter our Multi-Blogger Giveaway! It closes in exactly one week from today and you have a shot at 11 chances of winning. Happy Valentines Day everyone! I hope you’re all enjoying it with your significant other, children, pets, by yourself… whatever works for you :). I planned on spending the day with my little man and taking him to the beach for a picnic today but we’ve had nasty rainy weather here in Florida so we’re staying in instead. 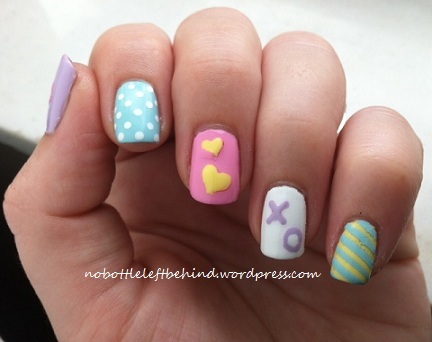 Before I show you my Valentine’s Day nails, I have to tell you that I don’t really like them. I had an idea in my head and it just didn’t play out as well as I was hoping it would. I wanted to use pastel colors but I think it ended up looking similar to those candy conversation hearts and they look kind of Eastery. 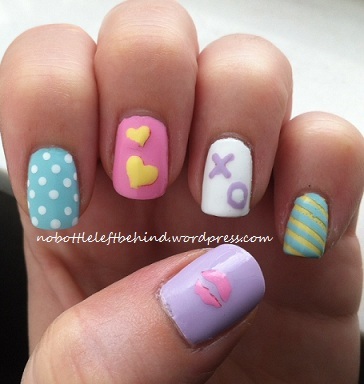 I do love how my index finger and ring finger turned out though :). They’re my favorite. 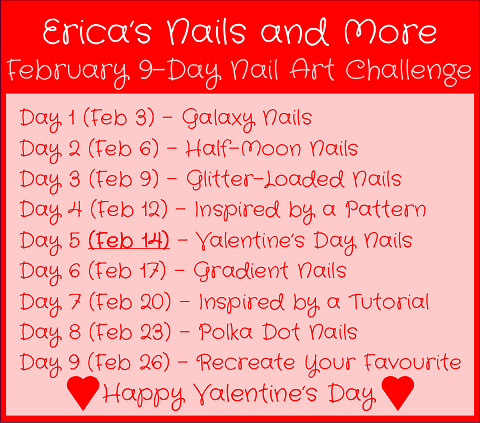 My mother in law bought me these Valentine’s Day nail art stencils from Avon last month so I tried using them yesterday when I created my mani. They left a bit of the red stencil behind when I pulled them off. You can see it on my thumb and ring finger. I tried to cover it up but ended up screwing them up a bit so I gave up lol. Also my top coat made my pinky bubble up. 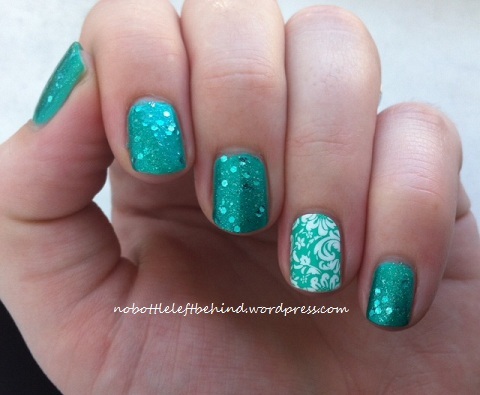 For this mani I used Julep Renee, Essie Mint Candy Apple, Julep Carrie, Color Club French Tip, and Julep Blake. I want to give a warm welcome to all of our new followers :). Hi everyone! I know most of you are here from the giveaway. Good luck to everyone and I hope you all decided to stick around after the giveaway is over too. I’m jealous of all of you all getting to enter that giveaway. Those are some great prizes! If you’re not even sure what giveaway I’m talking about and want to enter it, you can find the details about it in this post. 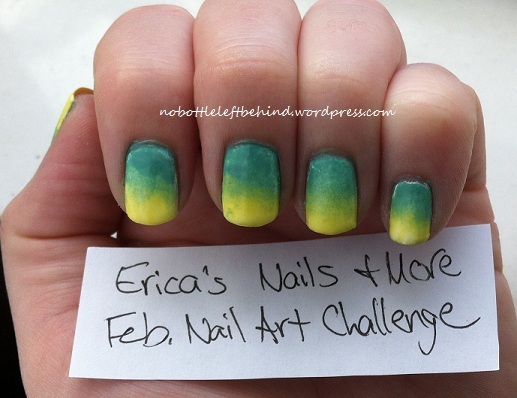 Ok now back to the nail art challenge. Today’s theme is ‘Inspired by a Pattern’. I bought a new shirt recently that I just love. 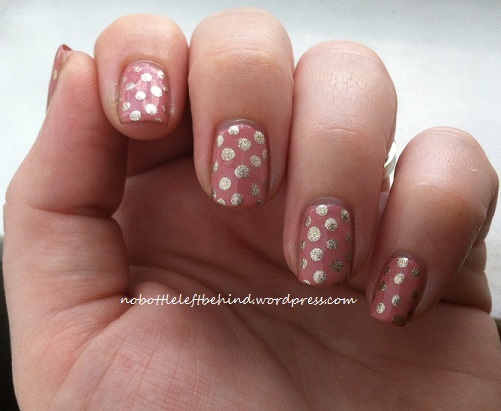 It’s mauve pink with gold dots. I knew it is what I wanted to use for my pattern. After I started putting my pictures together I realized that day 8 is polka dots too. 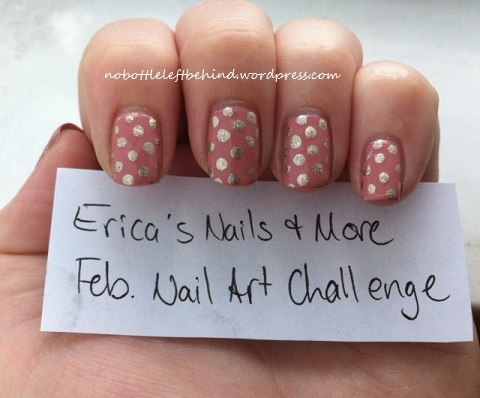 So I’ll have two polka dot nails this challenge lol. 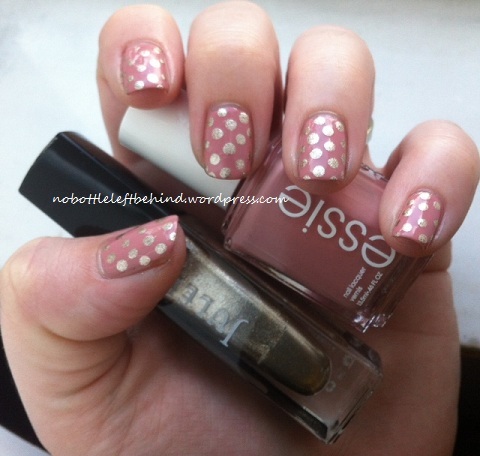 I used two coats of Essie Eternal Optimist as my base color and then created gold shimmery dots with Julep Sienna in the same pattern they’re on the shirt. 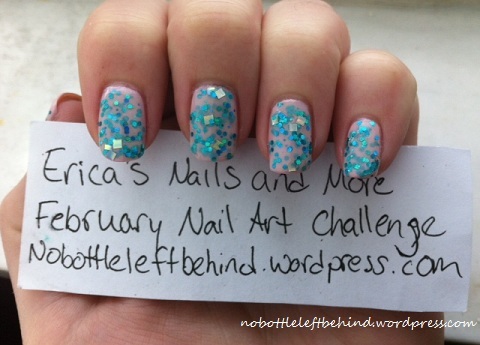 Here’s a picture of my inspiration with my nails. I really like these colors together. I probably would have never paired them up on my own had it not been for my new shirt :). I was finally able to get my hands on one of the Lynnderella’s I’ve been wanting for awhile. Connect the Dots! I’m not a huge fan of her polishes mainly because of the price tag on them. 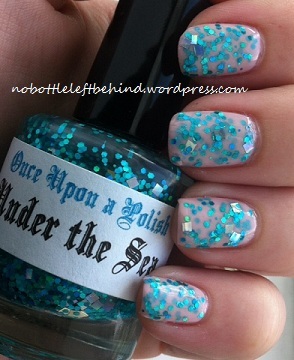 This polish is listed on Ebay for $22 and up. I can’t afford to get addicted to a brand of polish with that kind of price tag. A lot of girls do (and spend even more!) but it’s not in my tiny budget as a stay at home mom. Buuuut! That’s where Facebook swap groups are awesome! One night I found someone selling a few of her Lynnderella’s. I snatched this one up for a much better resale price of $15. I’m hoping to come across Love, Lace, and Lilacs one day for a good price too. She was also selling that one but someone had faster fingers than I did. Connect the Dots is packed full of different shapes and sizes of black and white glitter in a shimmery clear base. The shimmer is very subtle. 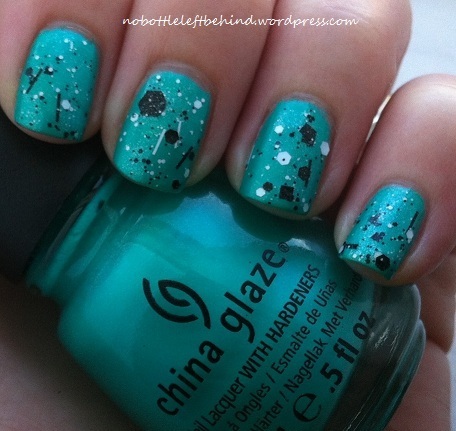 I layered one coat of this over top of China Glaze Turned Up Turquoise. I thought this black and white polish would look good layered over a Turquoise. What color would you layer this over? 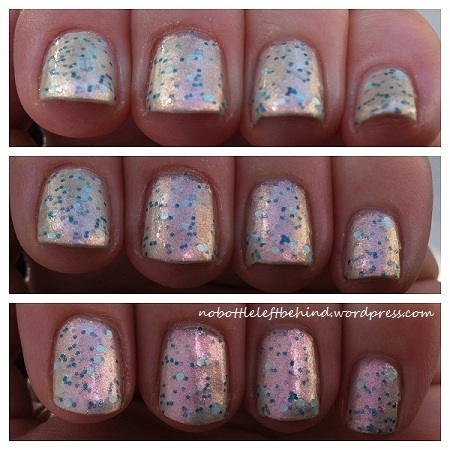 Since Lynnderella’s creation of this polish, there have been a lot of dupes to come out. I know off the top of my head that Sephora has a glitter topper called Chaotic for around $12. It’s a very close dupe and I’ve almost bought it several times.